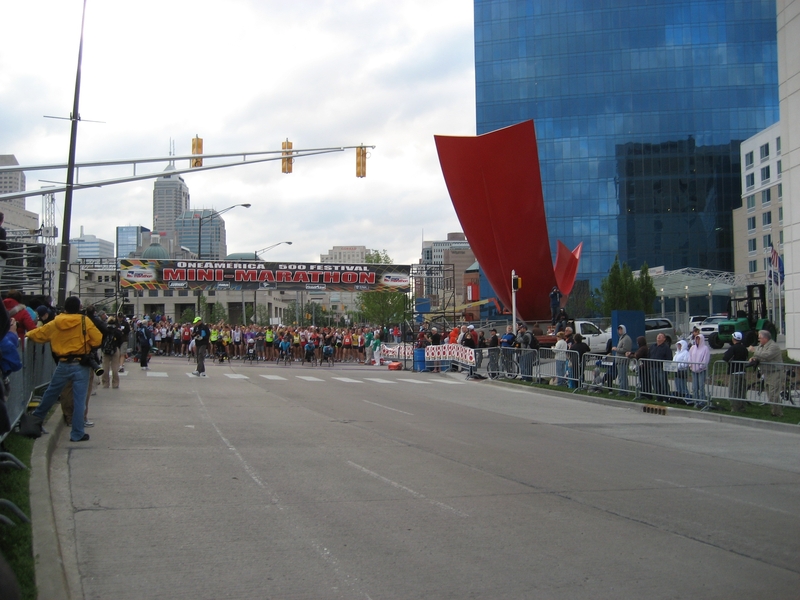 The Indy Mini is the largest half marathon in the US and it practically pulsates from the energy it draws from its 35,000 runners and thousands more spectators. To support the runners, the race organizers book bands and other entertainment and locate them along the route. As a one-time runner of this race, I can tell you that it really helps keep people moving. It’s fun to be at the YMCA! Shoes, twirls, music, and hundreds of arms in the air forming the letters Y-M-C-A. With nary a conscious thought and without a single word, everyone in that huge pack of runners automatically lifted his arms and performed the well-known dance moves. No one made a sound; everyone kept running. It was one of the most amazing things I have ever seen, banal as it may seem. Besides the fact that it was just plain fun, this moment has remained etched in my brain for another reason. That collective, spontaneous dance move showed me the possibility contained within shared cultural understanding: everyone (with the same background) gets it, no words needed, go with the flow. It’s almost a conditioned response. As a communicator, I see the power here. Above all, it was a fantastic demonstration of the colored glasses theory I’ve discussed in an earlier post. There’s no doubt that all of us runners were wearing the same colored glasses that day. If I want to reach people, I need to really make sure I understand the tint on those glasses so that all I have to do is turn on the right music.